Norway’s first hybrid rocket to reach space has now demonstrated new hybrid propulsion technology for a cleaner, safer, more flexible method of powering small launch vehicles. 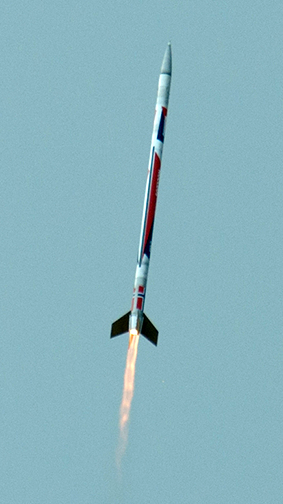 The Nucleus sounding rocket demonstrates the hybrid motor. Photo is courtesy of Nammo. Soaring up to five times the speed of sound from the Andøya Space Center, the 9 meter long Nucleus sounding rocket passed the edge of Earth’s atmosphere to reach an altitude of more than 107 km. in less than three minutes. After its suborbital flight, the rocket returned to Earth, splashing down in the Atlantic Ocean, 180 km. off the coast of Norway. The payload, supplied by the Andøya Space Center, comprised electronics that transmitted inflight data and video for further analysis, as well as a dispenser to eject six ‘daughter payloads’ at altitude. Nammo, in partnership with ESA’s Future Launchers Preparatory Program, designed and built the new hybrid motor driving this rocket. The motor combines liquid and solid propellant. Nammo selected highly concentrated liquid hydrogen peroxide as the oxidizer reacting with a rubber-like substance as fuel. These substances are safe to handle and the byproducts of combustion are mostly water and carbon dioxide — making the motor environmentally friendly too. The oxidizer and solid fuel remain separated inside the rocket until mixed at ignition. Hybrid propellants have low evaporation rates so the rocket can be loaded safely, well before launch. 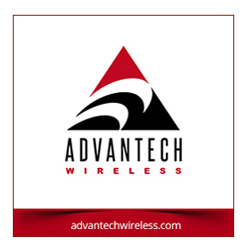 This reduces the cost of launch service operations compared with other technologies. The fuel, being a non-toxic, non-explosive solid, simplifies manufacturing and handling, further lowering cost. Being able to vary the flow of oxidizer during flight and thus the thrust meets a wide range of mission requirements, the motor can even be shut down and reignited for complex missions. The aim is for hybrid propulsion to match the precision offered through liquid propulsion, while lowering risks and costs, which would be ideal for smaller European launch sites like the Andøya Space Center. This demonstration will provide valuable data on the behavior of this hybrid propulsion system in flight. The next step is to build a larger motor to increase thrust from today’s 30kN to about 75–100 kN, extend the burn time, and to reduce weight and cost.